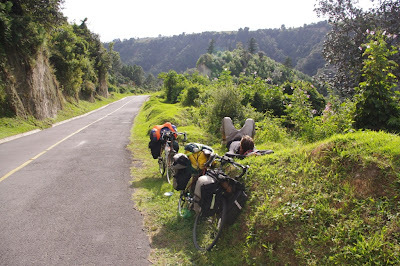 What can we say, Guatemala is amazing, beautiful and it is kicking our butts with some super steep hills. During this leg we also take a brief interlude to fly to Costa Rica for fun filled days at Glenn's brother Brendan and his now-wife Kristi's lovely beach wedding. Days 201 - 210: A Steep Introduction to Guatemala!